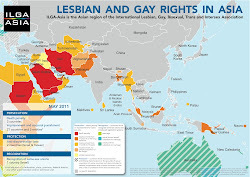 ILGA’s conferences are traditionally open to all, members and non-members of the federation. Activists are encouraged to fund their participation by their own means, or if they don’t have the funds, apply for a scholarship. However, there will be only a limited number of full and partial scholarships available. In order to receive a scholarship, ILGA asks you to provide the name of the leader or president of your association/group, who authorizes you to represent in the conference and – if you are member of ILGA – to vote on behalf of the gender(s) your group represents at the conference. A scholarship application will not be considered without this mention as groups decide themselves which person should represent them at the conference, including which person should apply/benefit from a scholarship. A full scholarship covers overseas travel, accommodations, meals and conference fees. Partial scholarships may cover airplane tickets only, accommodations only, conference fees only, or a combination. Local transportation in the country of origin and visa expenses are not covered. Any individual or group may apply. Scholarships will be decided on the basis of gender parity and regional balance among other criteria. Participants are encouraged to find other sources of financial support or fund part of the cost of attending the conference as well. Scholarships will prioritize active ILGA members. Scholarships will also prioritize those who will present papers or run workshops at the conference. For previous scholarship awardees from 4th ILGA-Asia Regional Conference in Surabaya, if you submit a qualified abstract for presentation or workshop for this conference, you will be also prioritized on scholarship selecting list. For good measure, ILGA will ask you whether you are a grantee/partner of any funder, as ILGA is also dependent on those funders to be able to provide you with scholarship. To apply for a scholarship to attend the conference, download the scholarship form and submit on or before 1 February 2013 to conference2013.ilgaasia@gmail.com. I am a social activist working in the field of HIV/AIDS for more than 20 yrs.But i am not belongs to LGPT.Can apply for this scholarship?